Tools4ever, a worldwide market leader in providing access governance software and solutions, and triptic, supplier of social intranet solution Iris Intranet, are excited to announce a new, far-reaching partnership. The integration of both solutions offers employees a comprehensive application launcher -providing access to all cloud applications via a single login – accessed directly within triptic’s strong social intranet portal. Iris Intranet presents itself as a "platform for better working," combining social collaboration tools and up-to-date information from business processes. The solution offers the ability to build a dashboard through widgets that provide employees with up-to-date information and tools to optimize workplace collaborations and coordination. The addition of HelloID now makes it possible to directly access cloud applications within the Social Intranet. "Our customers were looking for an opportunity to launch applications without leaving the Iris intranet. HelloID from Tools4ever offers this option in a way that integrates with our platform," says Roel Knapen, General Director at triptic. "The Single Sign-On functionality of HelloID offers employees an additional option that requires only one login to get access to all cloud applications." 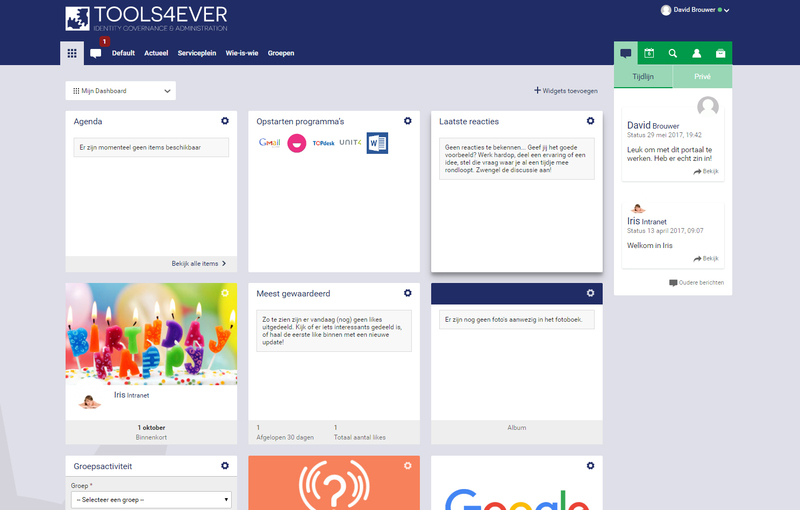 "We see a good match between our cloud application portal HelloID and Social Intranet portal Iris Intranet," says Jacques Vriens, Director of Tools4ever. "Our software seamlessly connects with Iris Intranet and adds value to users because, together, our solutions provide one easy-to-use dashboard with all the functionality in one place."